Every state in the country requires that you carry both a state-issued driver’s license and that you have the mandatory minimum auto insurance requirements in order to drive legally. The minimum requirements are determined at the state level and are referred to as “liability coverage.” Liability coverage is the type of insurance that covers both the at-fault driver and the other driver if there is an accident. For the driver who isn’t at fault, liability insurance covers both their injuries and damages. For the at-fault driver, the insurance company is required to pay for any injuries. If you are at fault in an accident and you only carry the mandatory state minimum coverage, then your property damages or car repairs will not be covered unless you have the addition of collision insurance. Collision insurance is separate coverage that you have in place to cover your own car and property if you were at fault for an accident. Although it is an additional cost, if you are driving in a car that you owe money on or one that is highly expensive, or if your vehicle is leased, then taking out the extra car insurance to cover your property damage is a smart decision. Although liability insurance is the only type that states require you to have, there are other coverages that you might want to consider. Regardless of the fact it’s legally required, there are times when someone might not have the minimum mandatory insurance. If you are in an accident with a driver who isn’t carrying the minimum coverage, then you might be left with no recourse for your injuries and damages. In instances where you are in a collision with an uninsured motorist, you run the risk of suffering some severe financial consequences if you haven’t take the precautions to cover yourself personally. 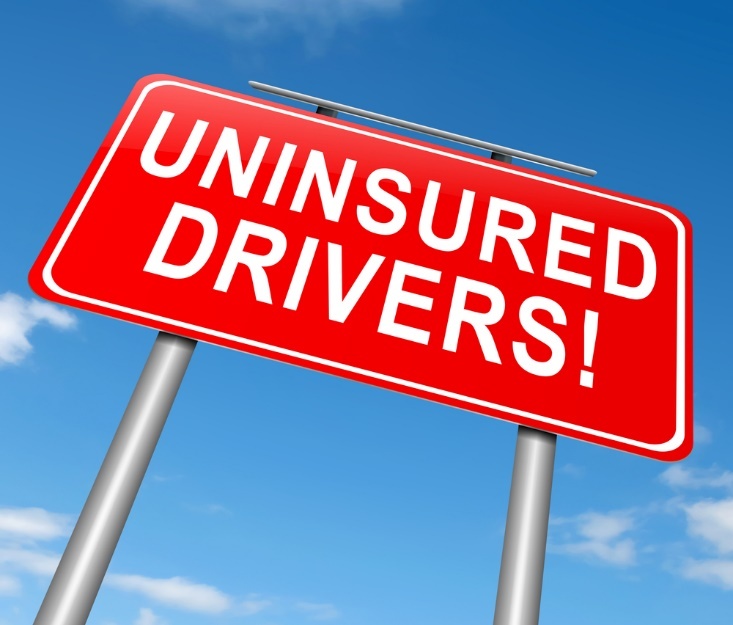 Uninsured motorists coverage makes sure that if you are hit by another driver who wasn’t carrying insurance, you are still covered. It not only handles your injuries but if your property or your car are damaged, then it gives you the ability to recover financially. There are also times when your own insurance will cover you if you are in an accident and you aren’t at fault, but they typically will only cover your injuries. If you only have liability insurance, there are very few instances where your car or repairs will be covered unless you have that additional collision coverage. One thing you need to know is that if you have collision insurance, then you might be covered for both your injuries and your damages if you are in an accident with an uninsured motorist. That is why it is important to consider all the potential scenarios for which you might need to cover yourself if you are in an accident, regardless of whether you are at fault or someone else is. If you are in an accident with someone who didn’t carry the mandatory minimum insurance, then yes, you can sue the other person for both your injuries and damages. The problem is that the reason most people don’t carry the legal insurance coverage is that they can’t afford it. This means that if they are in an accident, even if you are awarded compensation in court, getting them to pay it is a whole different story. Even if you win, there is very little likelihood that you will be able to recover the money you are entitled to, which can end up leaving you paying for the accident. Not having insurance when you drive in the United States is against the law, but unfortunately, many people break the law for one reason or another. Whether you were in an accident with someone who didn’t have the money to pay for insurance, or who didn’t have a license and therefore couldn’t get coverage, if you didn’t take out uninsured coverage or have collision insurance then you may be leaving yourself open to paying for your damages and injuries – even when they aren’t your fault. If you want to ensure that you aren’t left vulnerable, it is a good idea to make sure that you have as much protection as possible, and take out both collision and uninsured motorist coverage.